Health Minister Terrence Deyalsingh yesterday accused the food and beverage industry of contributing to the high rate of non-communicable disease cases in this country. “Let me pause here for a while and take a swipe at the food and beverage industry. 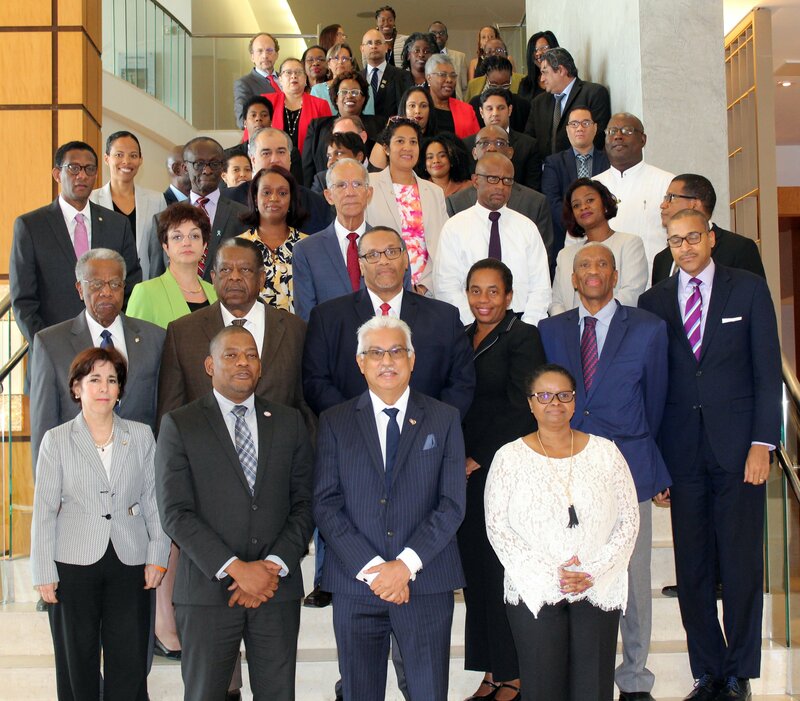 This is serious business,” he told delegates while addressing a one-day seminar titled, “High-Level Meeting on the Use of Law to tackle Non-Communicable Diseases: A critical Step to accelerate progress in the Caribbean,” at the Hyatt Regency Hotel, Port-of-Spain. The event was a collaboration between the World Health Organisation and the Pan-American Health Organisation. Saying that humans typically require about 2,000 calories per day, Deyalsingh said the industry’s strategy over the years, has been to encourage people to consume significantly higher amounts. “The food and beverage industry, with the way they market their fast foods – with oversized drinks, free upgrade of drinks, you buy one 16 ounce, you get another 16 ounce free, nice-looking juicy hamburgers, fries – they would have you believe that, as human beings, we have evolved so much in one generation that physiologically, now, we need 3,000 and 4,000 calories per day. He added: “Whenever I speak at an NCD (Non-Communicable Disease) conference like this, I always tell people your refrigerator and your pantry are harbingers of death and destruction and ill health. Deyalsingh said NCDs were one of the major health challenges confronting the region. “They are a major economic drain on Trinidad and Tobago and I dare say, the Caribbean. It is an absolute priority for Trinidad and Tobago to tackle this scourge of NCDs. Deyalsingh said obesity in schoolchildren, aged five to 15, increased from 11 per cent in 1999 to 23 per cent in 2009. Deyalsingh said people born into a particular socio-economic environment, because of the challenges of that environment, lack educational opportunities, money and avenues for upward mobility. The minister also lamented the slow rate of progress in developing a legal framework for addressing NCDs in the region over the years. Reply to "Health Minister slams local food industry"